Serena Brasserie, Intercontinental Kuala Lumpur: Add A Little Sparkle to Your Sundays with Sparkalite Sunday Brunch! Let’s Sparkle Our Sundays with some Bubbly! A few Sundays ago, I was pleased to enjoy a very pleasurable Sunday at Intercontinental Kuala Lumpur. Serena Brasserie has just launched the much awaited Sparkalite Sunday Brunch with its luscious offerings of three hours of fun feasting. I took my family and my little one for a serious gourmet pampering of Sparkalite Sunday Brunch. 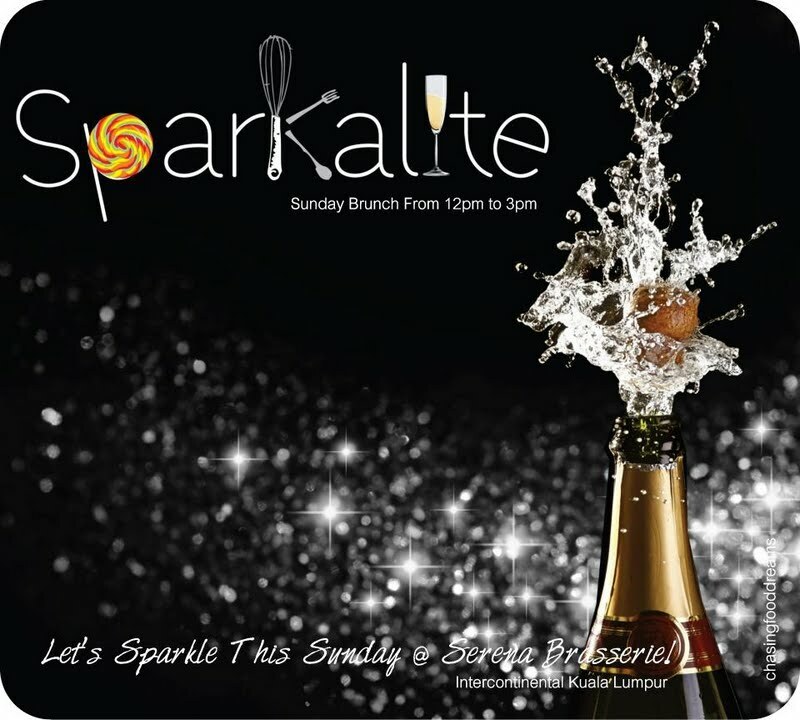 Sparkalite is for food connoisseurs who are tired of the standard brunch options. This spectacular Sunday Brunch is spearheaded by our new Executive Chef Darrell O’Neill, whom I have had the opportunity to sample some of his gorgeous creations here. Taking inspiration from his home country, Chef Darrell has created an inimitable menu and Sparkalite will highlight traditional Australian favourites as well as local treats from good old Australian Barbie to sweet Lamingtons and Rocky Roads. Serena Brasserie exuded a bright and beautiful ambience with lots of natural sunlight flowing in while being shaded with lots of greens around plus a gorgeous grand waterfall in the background. Choose the cool and spacious dining room or simply soak in the natural warmth of the restaurant’s patio while indulging on an endless selection. The Sunday Sparkalite pleasure started off with bubblies! Loads of it from Sparkling Wine, Prosecco and Brut to Australian White and Red Wines or Beer is available for some Sunday toast. For those adventurous ones, venture to their DIY Cocktails and craft your own Mimosa, Kir Royal or Bellini. 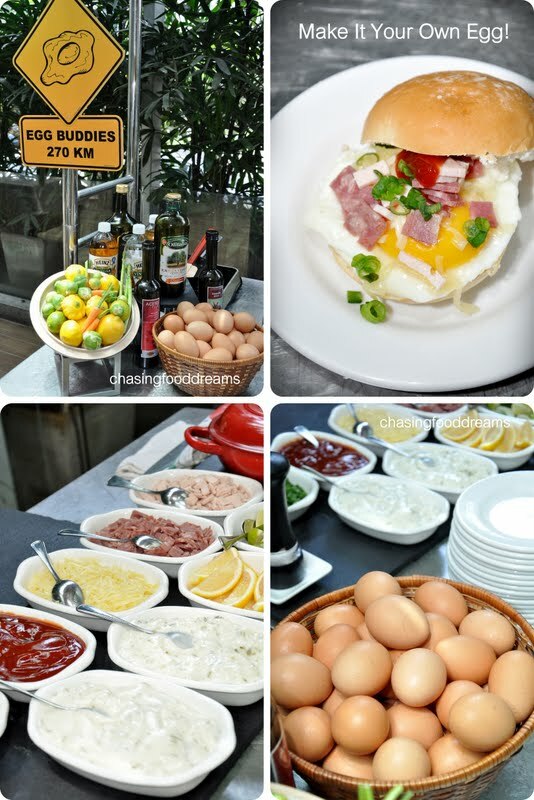 With seven Live Action stations as well as a sumptuous spread of hot and cold dishes on offer, it was certainly a tough decision to start the brunch! Simply a must, if the above selections of Barbie is not tempting enough, I don’t know what else will be! 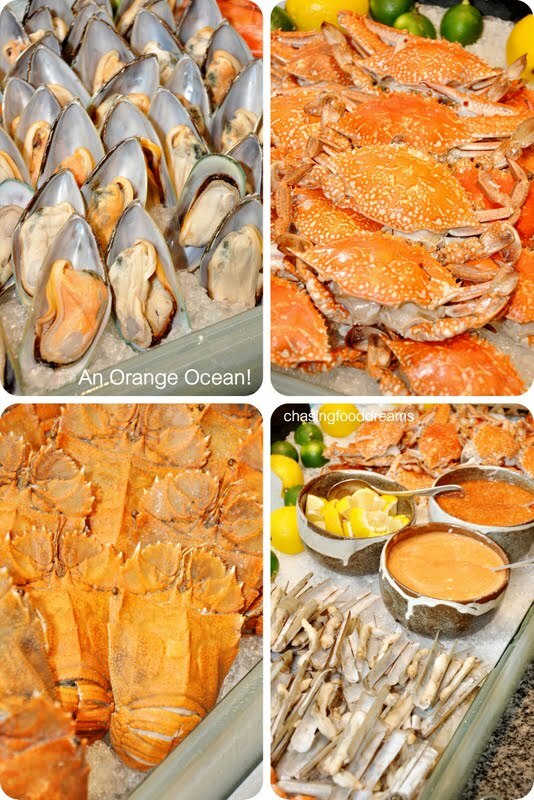 Glorious cuts of crustaceans and fishes to luscious meat haven are just waiting to sizzle on the hot grill. Make your choice and indulge them with salsas, mint sauce and gravies with gusto! My platter of Bruce’s Australian Barbie was just a haven of grilled seafood and meat on a plate. Truly luscious and succulent, the juiciness of the sirloin and lamb was thrilling! I love the thick jellied mint sauce with the meat while the salsa matches the seafood beautifully. When I saw Baked Potatoes, it was without a doubt that I need to load it with lots of sour cream and bacon! I like the personalization concept of making it your own! Plenty of condiments and sauces, one will certainly have lots of fun making Egg Buddy or Mini Sliders with Beef & Chicken. Egg Buddy sits on a soft bread roll while one decides on the array of condiments from bacon, ham, cheese, vegetables to top off a fried golden egg. 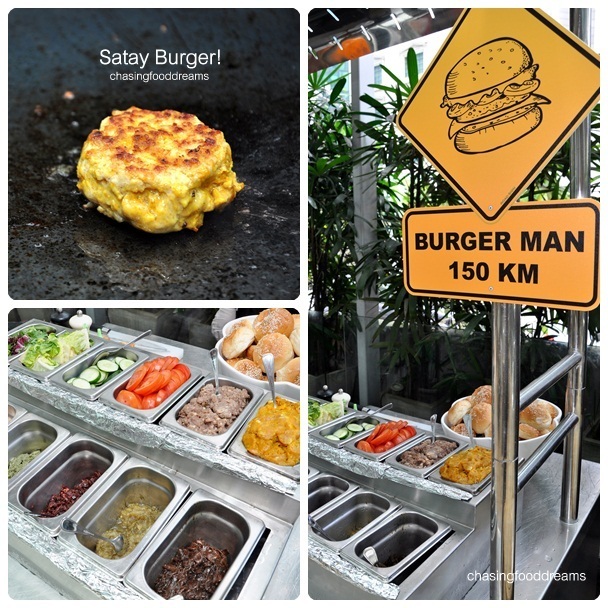 Meat lovers should just focus on the mini Angus beef sliders or chicken satay sliders that oozes with juices when bitten into. It’s been a while since I had pampered myself for a lovely Sunday brunch and I was happy to see Egg Cocotte on the list. It may be mini in size but flavors packed quite a punch. Sautéed mushrooms are topped with egg and sundried tomatoes and baked till just cooked with a runny egg yolk center. Digging in was pure pleasure of oozy rich yolk with earthy flavors of mushrooms and tangy sundried tomatoes. Yum! Heard that there is Egg Benedict too but darn it… I miss it! A Chef Darrell’s signature, it’s really cute to see that he downsized the Mini Meat Pies to small bites! These little minis have small dollops of ketchup accompanying the savory bites. Hop inside the restaurant for another amazing spread! I actually saw this upon entering the restaurant and it certainly had me hello! The array of deep oceanic delights was, without any doubt, simply mesmerizing. Chilled orange Slipper Lobsters, bright Tiger Prawns, Fresh half shelled Oysters, and Flower Crabs was just a glorious orange sea of pure indulgence. Savor the seafood with lots of sauces from classic Cocktail sauce and Thousand Island. My plate was sweet and fresh! It’s a must now at many buffets. The Japanese has managed to carve a deep root into our appetites. Indulge is a selection of Sushi and Sashimi from salmon, tuna and butter fish with a dab of wasabi. A good balance of greens is a must as always. Chef Darrell has also incorporated his roots in the Salad Bar. Check out Crab and Apple Salad, Balmain Bug and Orange Salad, Potato and Spring Onion Salad, Prawn and Rice Noodle Salad and Spiced Char-Grilled Lamb Salad among the usual selection of DIY greens! Enticing the cheese connoisseurs, the selection of cheeses are plentiful from Camembert, Cheddar, Brie, Edam, Blue Cheese and many more! I love a good roast, especially when there is Yorkshire Puddings! Makes my heart beat with glee… juice pink slices of beef with eggy soft Yorkshire Puddings and roast vegetables with gravy is almost a perfect match made in heaven for a carnivore. There is even pickled mini pearl onions and horseradish sauce for the extra tangy and zesty bites. From the hot warmers, we enjoyed quite a few stews and a really scrumptious Potato Mousseline! Don’t be deceive by the simple look or thought of carbs, the Potato Mousseline is simply to-die-for… with its silky fluffy mashed potato that is pure divine in flavors and textures. I actually went back for seconds together with the Meatball and Beef Stews. There are also lots of local dishes and an Uncle Laksa Station filled with Curry Laksa, Penang Laksa, Johor Laksa and more to tempt the local taste buds. My little one must have his pasta! He chose a creamy macaroni and creamed Carbonara sauce with ham and happily tucked into it. Plenty of other choices with red and white sauce or simply Aglio Olio style! Saving room for Desserts is essential! Skewers of fruits and marshmallows coated with a flowing waterfall of milk chocolate may be the next best friend to a sweet-tooth monster like my son. Savor this with scoops of ice creams for extra chilling effect! Originated from Australia, Lamingtons and Rocky Roads are two infamous desserts from Down Under! Lamingtons are butter or sponge cakes sandwiched with jam, coated in chocolate and rolled in sweetened desiccated coconut while Rocky Road is a bar of milk chocolate studded with marshmallows, nuts and dried fruits. 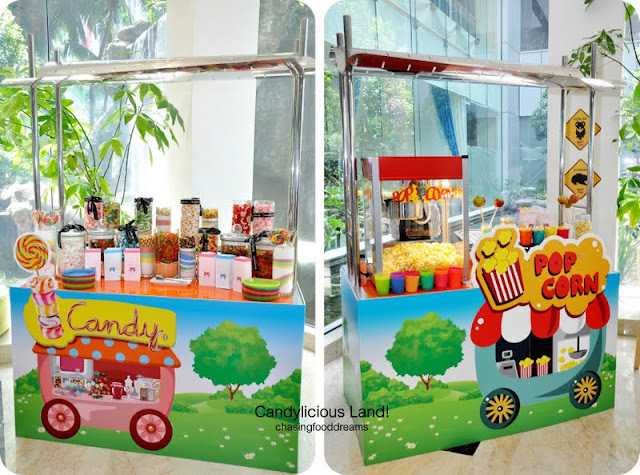 There are also loads of other tantalizing desserts from creamy cheesecakes to wobbly puddings and sweet crisp chewy Pavlovas and fruit tarts and bars. Fresh fruits, ice creams and trifles and Banana Caramel Sticky Pudding were also present that day. Talk about going all the way, even little ones get the full mollycoddling here at the brunch! The huge section dedicated to the children is enough to make me green with jealously. I want to be a kid again. Jars and bottles of candies in every imaginable shapes, flavors and textures are enough to tempt every adult to sneak in a few candies when no one is looking. Popcorns, Candied Apples, Mini Cupcakes, Rainbow Lollipops will melt hearts of all ages! Sunday Brunch is available every Sunday from 12pm to 3pm. 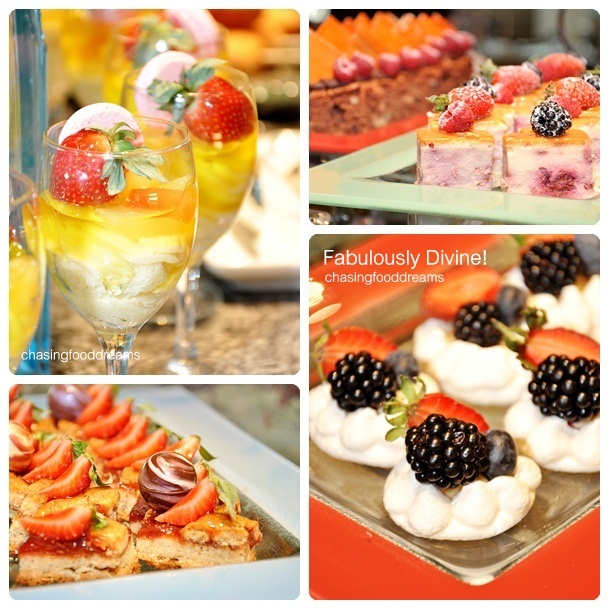 Sunday Buffet Brunch is priced at RM120++ per person. 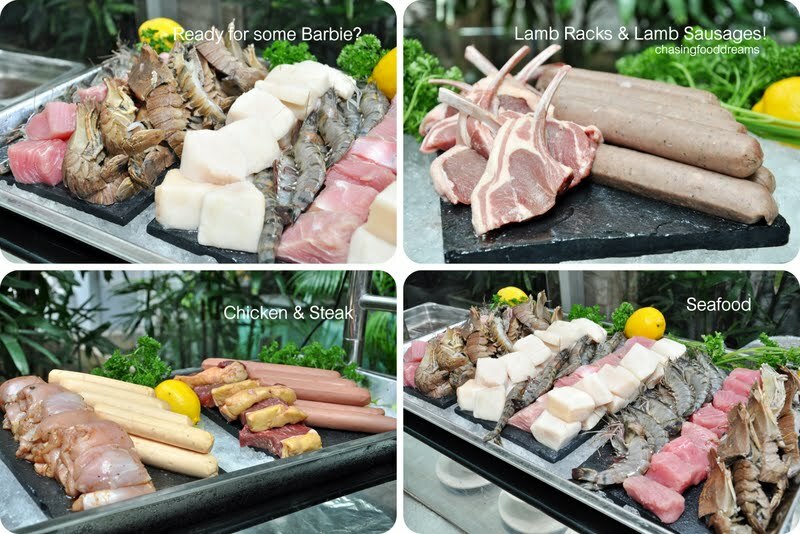 Sparkalite Sunday Brunch is priced at 198++ per person for Buffet Brunch, inclusive of Free Flow Sparkling Wines, Whites and Red Wines and Beer. 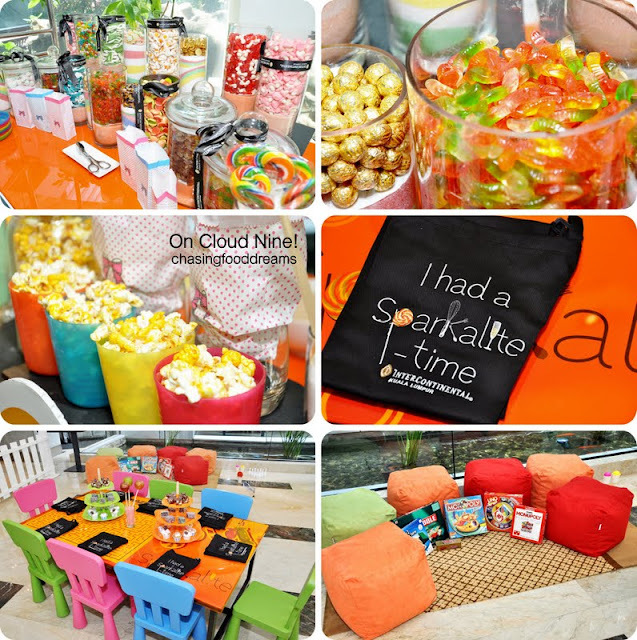 Childrean aged 6 – 12 is priced at RM60++ per child. *More Pictures available at my facebook here. Soi 23 Fine Thai Restaurant, Pacific Regency Hotel Suites: Discover Seductive Thai Flavors at its Finest on Level 23! En-Thai-cing Flavors at Soi Twenty Three! Nestled in the bustling cosmopolitan city of Kuala Lumpur in the Golden Triangle is Soi 23, a fine Thai restaurant located in Pacific Regency Hotel Suites, offering a multitude of enticing Thai flavors of sweet, sour, salty, spicy and even bitter! Perched on a hill just opposite the famed KL Tower, Soi 23 is a hidden gem serving Northern Thai (Isan) influenced cuisine. This elegant fine dining Thai restaurant has garnered rave reviews among local critics and collectively received several awards over the years. The restaurant boasts a serene and elegant ambience with a gorgeous backdrop of the city’s view, eceptionally mesmerizing at night. Dressed up with lots of earthy cream and wood colors, the plush restaurant is spaciously designed with comfort and style in mind. Doubling as a breakfast nook for the hotel guest, Soi 23 is transformed into a class of fine Thai at night. Truly authentic to its exotic roots, Soi 23 is helmed by Chef Suphakit Khammungkhun who hails from Ubon Ratchatani, a northern eastern province in the gorgeous region of Thailand. The demure sweet-natured Chef Suphakit concocts up a selection of bold and mesmerizing flavors at the restaurant. Despite his humble personality, his cuisine speaks otherwise, glowing strongly in flavors and textures with an elegant touch! Thai cuisine is like a complex musical chord. Showcasing a mélange of ingredients with bold spices and herbs, the flavors are harmoniously balance, striking an exotic sensation in the cuisine. Catching up with great friends, I arrived with anticipation for a night of fun-filled company with foodie connoisseurs and Thai cuisine! If you read my previous Thai posts, you would know how much I L.O.V.E Thai Iced Tea! Thick in milky flavors with a strong brew of tea, Thai Iced Tea is nearly perfectly made here at Soi 23. The opening act of the night was much raved even before it arrives! Fried Air Dried Beef with Kaffir Leaf looked fairly simple in outlook but offers a much more complex flavor echoing its name. The dish did live up to its raving! Usually synonymous with a tough chewy jerky texture, this dish was surprisingly executed with much grace. It has an intense deep spice and beef flavor from the drying method but it’s not as tough as most beef jerky are. Tremendously enjoyable with its dense texture and flavors, the air dried beef is further pumped up with a piquant Thai sauce. A second order was immediately put in… that’s how good it was! I love Thai salads. The fact that it doesn’t resemble the standard green leaves studded with extra ingredients and drizzled with dressing makes Thai salad a higher notch in my favors. Expect nothing short but bold flavors in Crunchy Pomelo Salad at Soi 23. The bits of carefully segregated pomelo sacs are tossed with raw red onions, fried shallots and other secret ingredients. Thoroughly bursting with a rainbow of sourness, sweetness and spiciness, the refreshing salad whets the appetite with delight. The texture is amazing with each bite as the sacs burst into squirts of juices in the mouth. If not for sheer control, I would gladly hog this whole plate of salad to myself! Despite its many variations of the infamous Tom Yam soup with seafood, this version has got to be one of the most refined and classy soup I have tasted! Spicy Creamy Soft Shell Crab Soup with Lemon Grass and Mushroom is simply a glorious pairing of crisp fried soft shell crab pieces gently floating in a richly spiced up Tom Yam broth. The Tom Yam broth shined boldly with such finesse in flavors. It’s rich in sourness and spiciness while aromatic with a glorious hint of lemongrass and finished off with a creamy edge. Every sip of the broth took me to Thailand and back. I also adored how the fried soft shell crab soaked up the taste of the broth, lending the ordinary crab to another level of textures and taste. Highly recommended on my books! It’s not a curry I would normally order at a Thai restaurant but I am glad that I got to savor the Mussaman Curry with Lamb. Lusciously creamy with loads of nutty flavors melding with spices, the curry was not too spicy but rather heavily flavored in spices. It has a sweeter flavor while hints of tangy tamarind are noted as an aftertaste. Tender chunks of lamb and potatoes are paired with the very creamy curry. An elegant curry dish summed up this dish. I swooned over the highlight of Chef Suphakit’s signature creation of Red Snapper Deep Fried with Three Flavors Sauce. Albeit sounding ordinary, the dish is an explosion of taste! Whole red snapper deep fried till crispy and smothered in a fiery red sauce was indeed stimulating on every bite. Crispy and soft in texture, the fish was very provocative in its combination of spicy, sweet and piquant flavors. 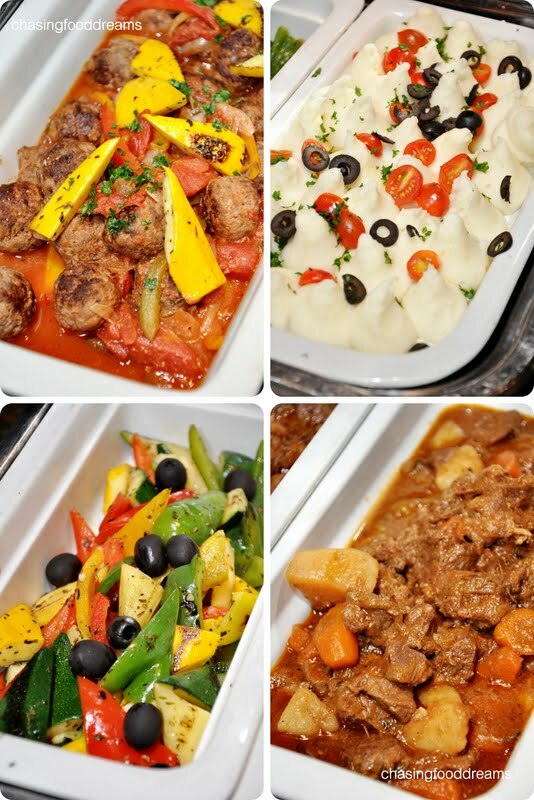 I like the bold sharp flavors of the sauce as it is what makes the dish a signature from the kitchen. There was a claypot promotion going on when we dined so we could not resist a taste of the one pot wonders. Echoing its infamous sister of Kung Op Woon Sen or Prawn with Mung Bean Noodles, this one is done with flower crab! Claypot Thai Vermicelli with Crab proved that crabs are also perfect with its infamous counterpart. Soaking up the sweet nuances of the crab juices, the thin chewy noodles are worth slurping for! I was already full with the glorious spread and also from the much laughter of the night’s conversation but managed to sneak in a spoonful of Thai Chicken Briyani. At least I think that the flavors of this rice dish resemble a biryani. Savory and sweet fluffy rice accompanied the buttery tender drumstick well. The rice was studded with loads of spices from cinnamon to star anise and more while golden sweet raisin added further texture and flavors. If only I had more stomach space, I would have enjoyed this more! Desserts served at Soi 23 may be on the popular list of Thai cuisine but these are made really well with an extra touch! Both Mango Pudding and Mango with Sticky Rice showcased sweet ripe mangoes to its best! While Mango Pudding may be more ordinary, the Mango with Sticky Rice is superb! Soft and moist, the sweet sticky rice, a combination of original and pandan flavor, is topped with crunchy bits of mung beans and paired with thick slices of sweet yellow mango. What makes the sticky rice stand out is the addition of the crispy beans. Exceptionally good in taste and texture! My all-time favorite Thai dessert has to be Chilled Water Chestnut in Tapioca Flour Served with Coconut Milk. Creamy and redolent of the aromatic coconut milk, this icy concoction has jeweled bits of red tapioca coated crunchy water chestnut and sweet strips of jackfruit. Refreshing and cooling after the spicy meal! Sweet Tapioca with Coconut Milk has dense pieces of sweet boiled tapioca coated with a rich creamy sweet coconut sauce. It’s very aromatic and sweet but I would prefer a softer texture in the tapioca. Dinner was truly satisfying as anticipated. Not only was the dishes well flavored and refined, the expansive view of the city’s skyline was amazing. Soi 23 is the restaurant for an impressive experience of Thai flavors. The restaurant seats about a 100 guests, so be sure to make your reservations early and find out why Soi 23 is one of the best kept secret in the heart of the city!